Caption slip reads: "Photographer: Emery. Date: 1954-09-01. Reporter: Sutherland. Assignment: Danish Psychiatrist. 57/84/31: Dr. Oluf Martensen-Larsen of Copenhagen (left), with Dr. Stephen A. Seymour at Seymour clinic, 836 Pine ave, Long Beach. 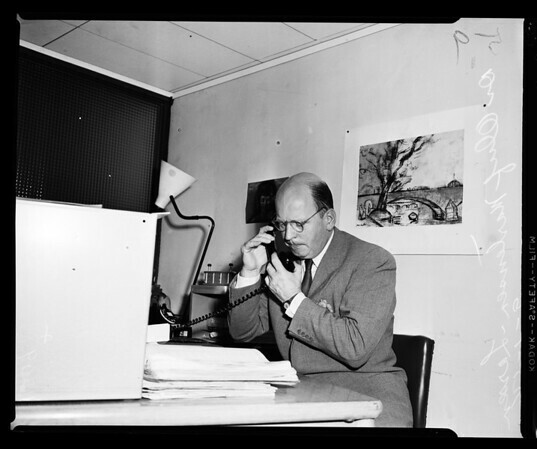 49/03/59: Dr. Oluf Martensen-Larsen".